Home / Florida Keys Open For Visitors! Florida Keys Open For Visitors! Great news from the Florida Keys, despite taking the full brunt of Hurricane Irma’s wrath, the Keys will be open to visitors beginning October 1, 2017. 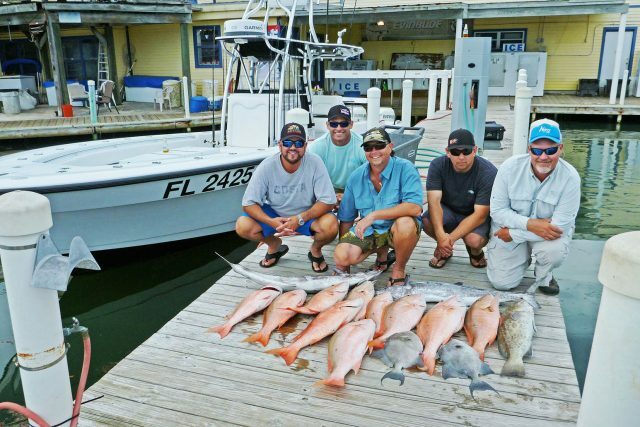 If you’ve ever been to the Florida Keys, then I’m sure you have treasured memories of tropical relaxation mixed with the thrill of incredible sportfishing and diving. If you’ve never been to the Keys, now would be a great time and the guides and businesses who are getting up and running would certainly appreciate the business right now. 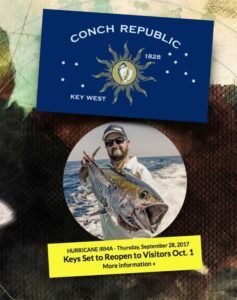 Florida Keys are opening October 1st! Come on Down! Local officials said, “Most of the immediate infrastructure repairs have been made. 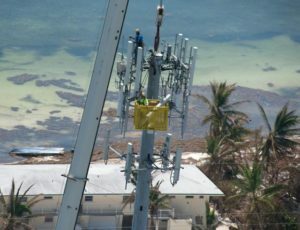 Almost all power and water have been restored from Key Largo through Marathon as well as throughout Stock Island and Key West. Cellular service is working well, but restoration of Comcast cable television and internet is lagging behind other utilities. 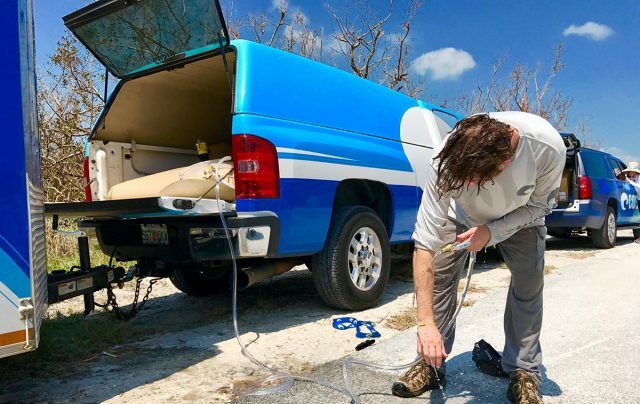 The quick recovery is thanks to the hard, compassionate work of the locals and the volunteers who rushed to the aid of Key’s residents in their greatest time of need. Individuals and business alike have donated time, sweat, money and supplies to help get people back in their homes and back to work. A group from Costa brought essential supplies like water and helped dig out local residents. Hospitals have reopened in the Upper Keys and Key West. 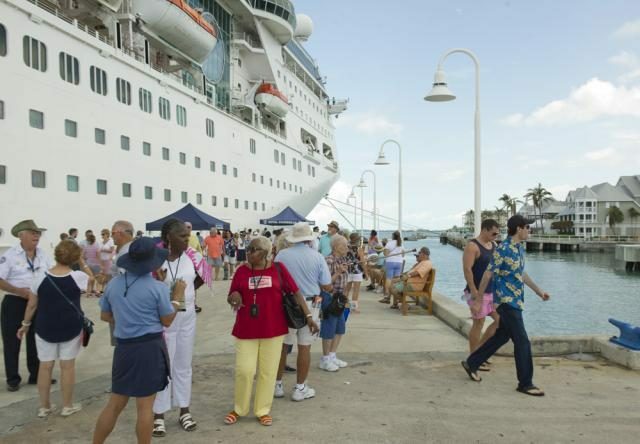 The Port of Key West has reopened to cruise ships. Key West International Airport has reopened and commercial service has resumed, as has general aviation. Florida Keys Marathon International Airport is processing general aviation and charter flights again.Some special events have been postponed or canceled. Others including Key Largo’s Humphrey Bogart Film Festival, set for Oct. 18-22, Marathon’s Stone Crab Eating Contest scheduled Oct. 21 and Key West’s Fantasy Fest, slated for Oct. 20-29, are to take place as planned. More information on the Keys can be found at fla-keys.com.